(Nanowerk News) Quantum computing will allow for the creation of powerful computers, but also much smarter and more creative robots than conventional ones. This was the conclusion arrived at by researchers from Spain and Austria, who have confirmed that quantum tools help robots learn and respond much faster to the stimuli around them. Quantum mechanics has revolutionised the world of communications and computers by introducing algorithms which are much quicker and more secure in transferring information. 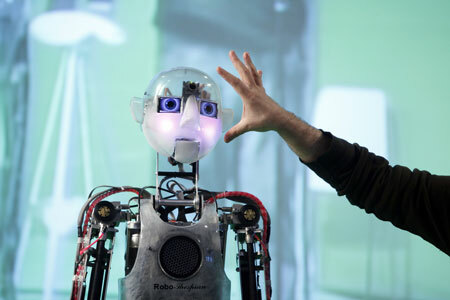 Now researchers from the Complutense University of Madrid (UCM) and the University of Innsbruck (Austria) have published a study in the journal Physical Review X ("Quantum Speedup for Active Learning Agents") which states that these tools can be used to apply to robots, automatons and the other agents that use artificial intelligence (AI). The theoretical work has focused on using quantum computing to accelerate the machine learning.